Regiment/Catrawd: Army Service Corps. (Motor Transport Reinforcements). Service Rank and Number / Rheng gwasanaeth a rhif: M/283251. Military Cemetery/Memorial / Fynwent milwrol: Dar Es Salaam War Cemetery. Ref No Grave or Memorial / Rhif cyfeirnod bedd: Plot: 1. Row: B. Grave: 13. Country of Cemetery or Memorial / Gwlad y fynwent neu gofeb: Tanzania. Killed in action on Thursday 24 May 1917, aged 26 years. Edward Peter Jones was born in Rhyl, Flintshire in 1891. The 1901 Census shows that the family lived at Pen-y-Coed, Brighton Road, Rhyl, Flintshire. The head of the family was Charles William Jones aged 47, a Timber Merchant. His wife Mary Jones aged 41 and their 7 (seven) children – Elizabeth Mary Jones aged 17, Florence C Jones aged 15, Alice J Jones aged 13, Charles H Jones aged 12, Edward Peter Jones aged 10, Arthur O Jones aged 7 and Blodwen N Jones aged 2 years. Also living with the family and employed by Mr & Mrs Jones was Grace Goodwin aged 28, a Domestic Housemaid and Jane Ellen Roberts aged 26, a Domestic Cook. Following the outbreak of the First World War, Edward enlisted with the Army Service Corps and became a Driver. 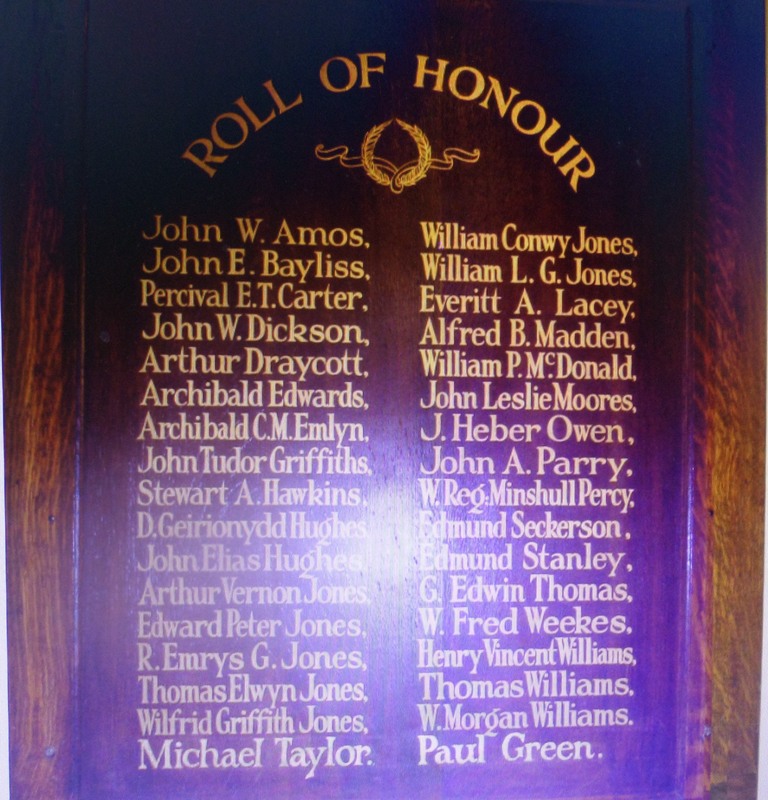 Private Edward Peter Jones is remembered on a Roll of Honour Plaque which was on display at The County School, Grange Road, Rhyl.